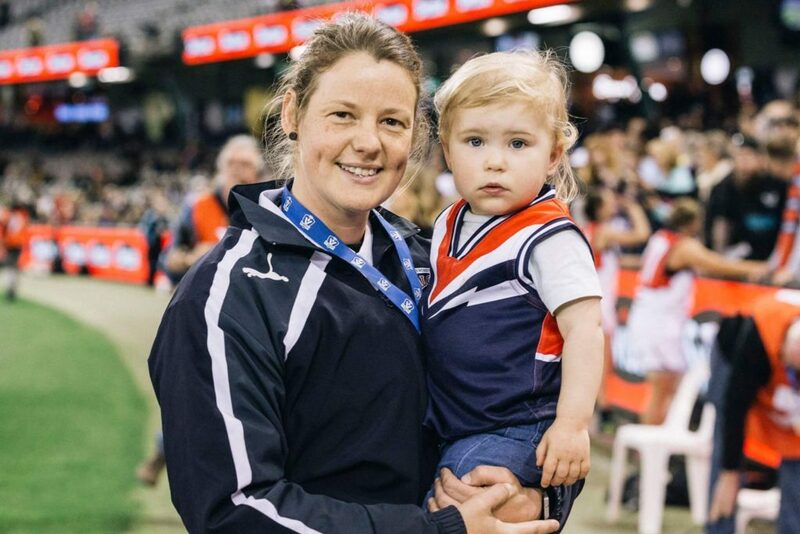 After a 12-year involvement with the Darebin Women’s Sports Club as both a player and coach, Jane Lange is officially stepping down from her position as VFLW Senior Coach in order to spend more time with her young family. Jane first joined the Falcons as a player back in 2007. Throughout her playing career she played 151 games and kicked 258 goals and played in every Grand Final from 2007 to 2016; winning eight of them. Jane then made a seamless transition into coaching in 2016, beginning her coaching career with back-to-back VFLW premierships in 2016 and 2017 (in 2016 as playing-coach). Already well known for her on-field communication and ability to read the game, Jane came into her own once she took the coaching reins. Jane’s ability to practically apply her teaching points at training and clearly communicate her coaching ideologies meant that she was able to successfully navigate the transition from teammate to coach and maintain the high standards amongst the playing group. 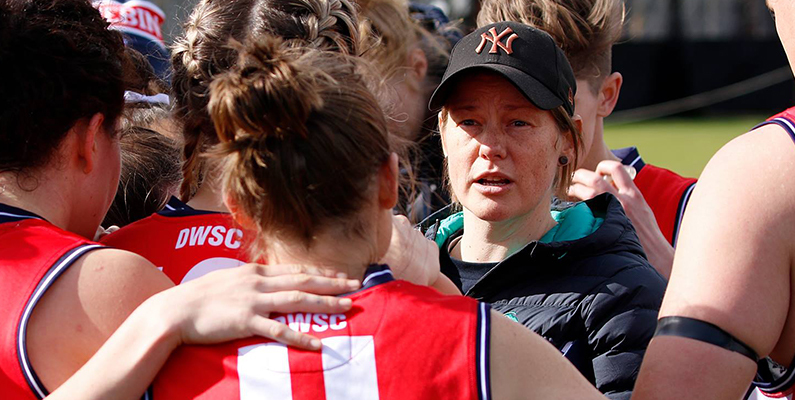 Alongside her Darebin coaching commitments, Jane has experienced football at the highest level through assistant coaching roles at Carlton and now Melbourne. All that are familiar with Jane’s coaching capabilities would agree that it won’t be long before she’s at the helm of an AFLW club. 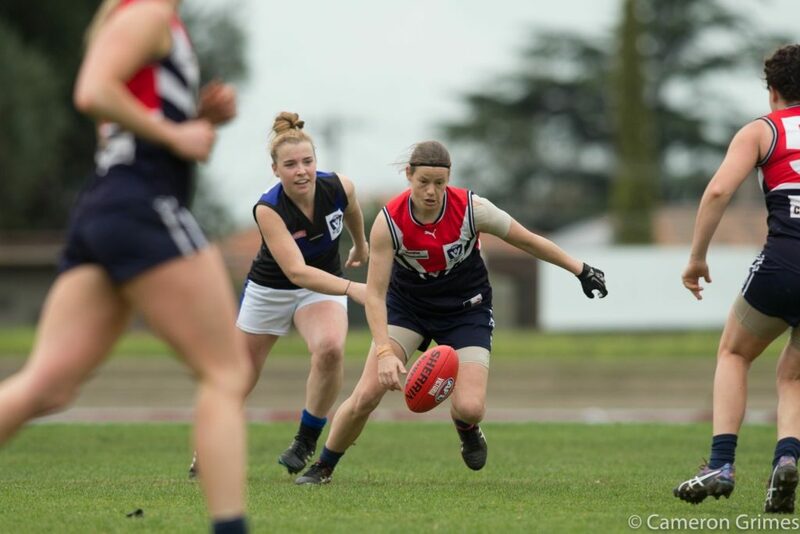 Despite all of the success Jane has achieved, including nine premierships as a player and coach, Darebin Life Membership and league leading goalkicker awards, the thing she is proudest of is what Darebin stands for. “To me, Darebin is bigger than just playing footy. It has shaped who I am as a person and has given me the courage to stand up for what I believe in and it has also provided the platform for what I’m doing now. What Darebin has done for the community and providing opportunities for women and girls is what I am proudest of, more than any of the premierships.” Jane said. The club would like to take this opportunity to thank Jane for her immense contribution and while she may not have an official role from 2019, it’s important to acknowledge that she is forever a Falcon. We wish Jane, Carly, Darcy and Leni all the very best for the future and look forward to seeing them at Falcons’ games next season and beyond.